Synopsis: After being kidnapped and imprisoned for 15 years, Oh Dae-Su is released, only to find that he must find his captor in 5 days. Review: The need for revenge is an impulse that has driven the plot of many a movie throughout the history of cinema. It’s a great device really, because with audiences being able to relate to the urge to give someone their due, it preloads the characters with all the necessities we’ll require to feel like they’ve received their pound of flesh when the film is over. 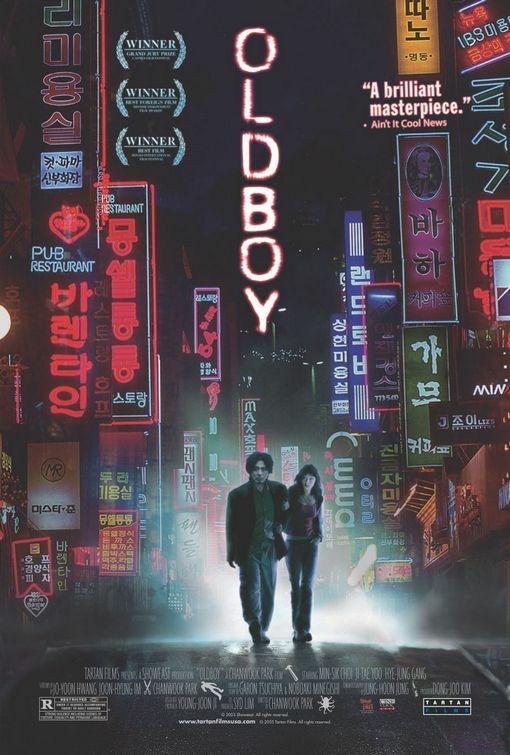 I’ve seen a lot of revenge films in my time and though this impressive 2003 South Korean isn’t the most violent one I’ve seen, it wound up leaving a lasting impression on me long after the final comeuppance was dealt. Opening in 1988 with Oh Dae-Sue (Min-sik Choi) being abducted one rainy night after he passes out in a drunken stupor, the film wastes no time in getting things moving. Confined in a room that looks straight out of the motel chic décor of the best room at the Bates motel, Oh Dae-Su has no clue why he’s being held or by whom. In the days that follow a lone television broadcasts the news that his wife has been murdered and his young daughter taken into foster care…all the while he’s helpless to do anything. Over the next fifteen years, he’s taken care of with sustenance but deprived of any human contact. Watching the years tick away courtesy of the omini-present television, his entire existence becomes one with the room until the day he’s drugged and simply set free…or so it seems. With a Good Samaritan beauty by his side and through a series of twisty clues left by a mysterious caller, Oh Dae-Sue’s nightmare isn’t over yet as each secret he uncovers leads him deeper down into a hell he could never imagine. The final answer given is a true game-changer and one that neither he, nor the audience, can really see coming. In the dirty game of revenge, sometimes the player becomes the game maker without ever even knowing it. 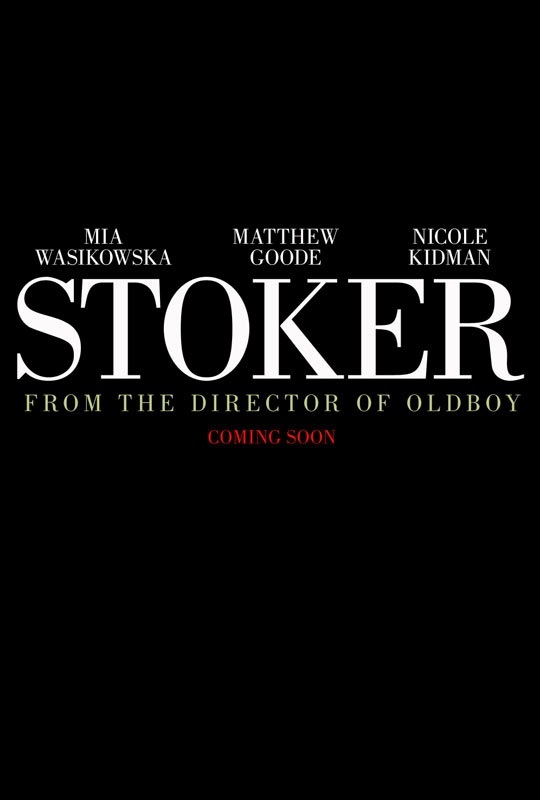 Writer/director Park Chan-wook made his US debut in 2013 with Stoker (which made my Best of 2013 list) and he brought to that film the same dreamy quality and well-oiled technique that makes Oldboy so intensely watchable. Several fight sequences are jaw-dropping in their creativity not just in the high flying, bone crunching moves but in the way the director either keeps the camera in constant motion or simply tracks the actors like a tennis match. It’s never hard to follow and it’s overwhelming in all the good ways. It’s easy to see why the film is regarded as a not-so-minor classic in the foreign film arena. 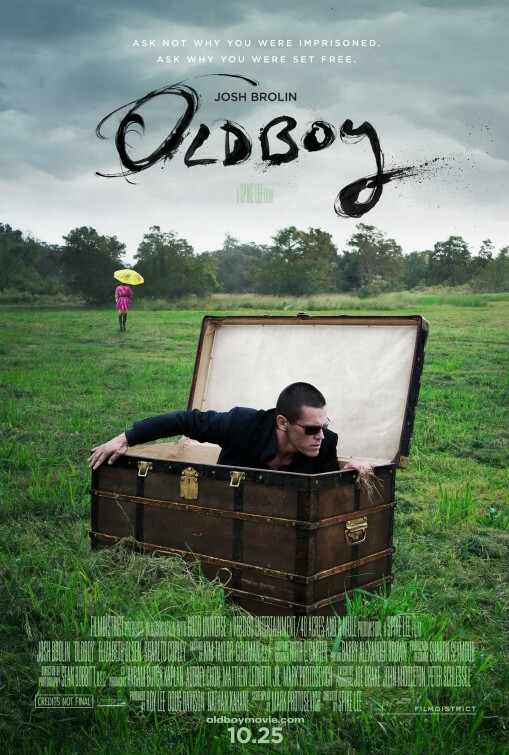 With its labyrinthine plot twists, skilled direction, and masterful lead performance Oldboy is never less than compulsively entertaining and positively haunting. Synopsis: Obsessed with vengeance, a man sets out to find out why he was kidnapped and locked up into solitary confinement for 20 years without reason. Thoughts: The first trailer for Spike Lee’s remake of a gritty (and highly praised) 2003 Korean film shows some promise. If his latest work follows in the steps of the original, expect a brutally twisted tale of revenge that takes no prisoners. It looks to be a well cast outing for Lee who has become known lately more for the feuds he gets into with fellow filmmakers than for the quality of his movies. I’ve always been on the fence with his films, finding that they range from the excellent to the excessive with not a lot of middle ground to be found. I’m intrigued at the presence of Josh Brolin (Men in Black III, Labor Day), Elizabeth Olsen (Silent House) and Samuel L. Jackson (Marvel’s The Avengers), all risk taking actors that might just be the perfect fit for what Lee has planned. We shall see. Synopsis: After India’s father dies, her Uncle Charlie, who she never knew existed, comes to live with her and her unstable mother. She comes to suspect this mysterious, charming man has ulterior motives and becomes increasingly infatuated with him. 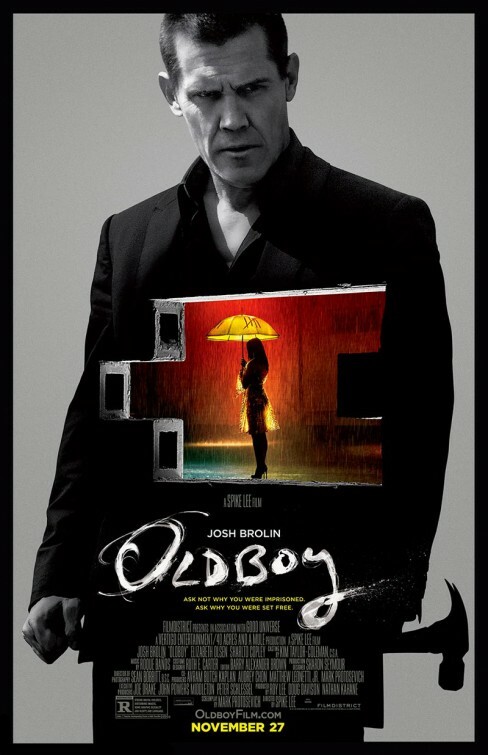 Thoughts: Though sadly not a biography of Bram Stoker, it’s notable because the director of the Korean hits Oldboy and Lady Vengenace has come to Hollywood with a sinister looking thriller written by actor Wentworth Miller. I tend to be on the fence about Mia Wasikowska but she looks to make a strong impact here with Kidman looking pretty frightening as her mom. Though I was a bit bummed that the film seems to give away a lot of pivotal moments, there’s enough impact visually and tonally to keep me interested.